I’ve never met this vegetable before: fiddleheads. It’s the curled ends of a young ostrich fern, harvested in early spring. 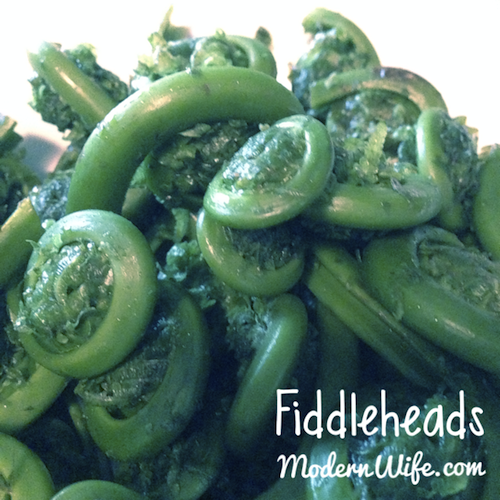 It is rich in vitamin A and vitamin C.
Steam the fiddleheads for about 20 minutes. Melt butter on warm fiddleheads. Salt and pepper to taste. Serve with quinoa on the side.